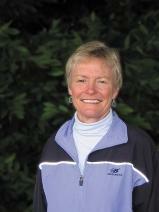 Hi, this is walking Coach Judy. I have been coaching others, just like you, either individually or in group training for many years. I am passionate about walking, the act and art of doing so, as well as the incredible benefits. You will discover the power of walking technique and training in helping you achieve your goals. You can use almost all 605 muscles of your body; re-engage your feet and improve your posture. WOW’s training programs offer personalized attention in a group setting. The synergy and camaraderie make for a great experience. Often consulted as an expert on walking, personal fitness, and training, I have been quoted in Prevention Magazine (March, 2007), Weight Watchers Magazine (January, 2008, 2010), and Family Circle (January, 2008); Weight Watchers (2009), Woman’s Day (September 2009), Weight Watchers (2010) & Prevention (2010 October).